Today I found pretty nice looking free online wep page for creating UML diagrams. It is yuml.me. It’s pretty useful for small projects, with small amount of calasses and relationships. It’s fast, because you just specify all data in the url. After couple of tries I was able to create more complicated diagrams. You can find user guide here. Here is one of my diagrams. 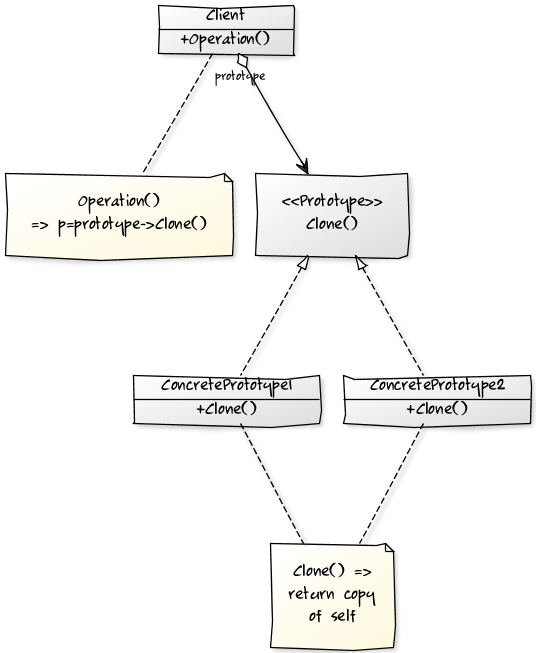 For more diagrams you see my ObjC_Patterns_Kata project. Usually people are using X-Code for creating applications in Objective-C, but this IDE is also useful for C++ programming.When you are creating something, you want to test it (or you should want to). 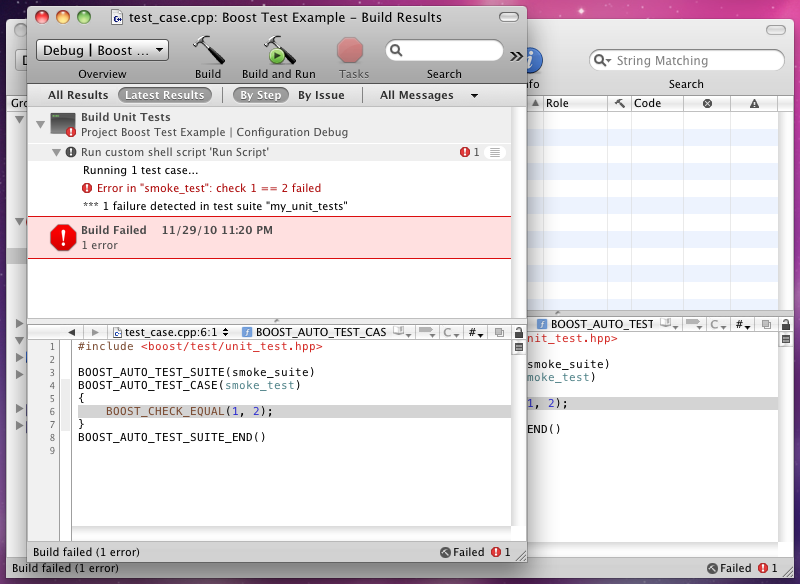 One of the unit test framework is Boost::Test. I will describe shortly how to integrate this framework with X-Code (currently 3.2.4). I will use simple command line tool project for this tutorial. You can choose whatever you need for your project but it should be using C++ programming language. First you have to create new test target for the project. You can do it by right-clicking Target group in X-Code IDE and choosing Add – New Target from context menu. Choose BSD group and Shell Tool template. Input name for the target (e.g. “Unit Tests”) and continue. Now you have to specify include and library paths for newly created target. Right-click on the new target and choose “Get Info”. 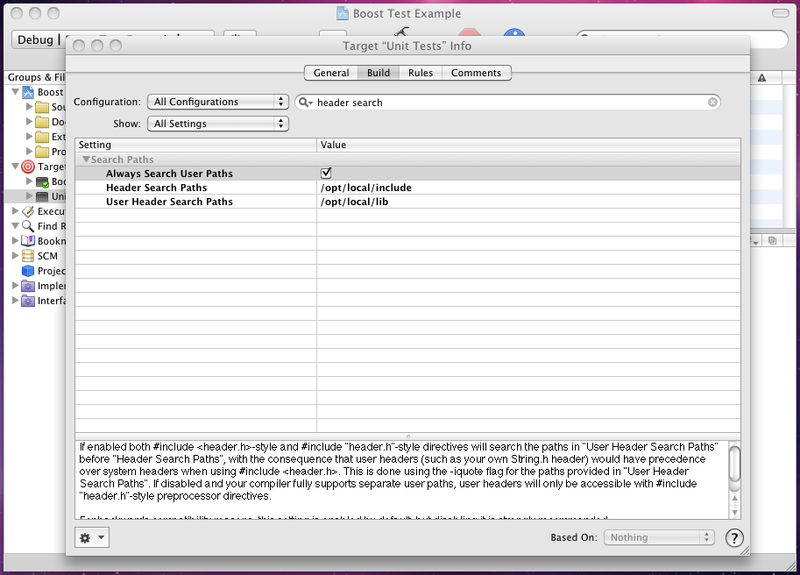 Go to Build tab and search for “Header Search Path” and input path to include files from Boost library (when installing from MacPorts the path is /opt/local/include). Next search for “Always Search User Paths” and mark it. The last one is “Library Search Paths” where you have to input path to compiled Boost libraries (when MacPorts – /opt/local/lib). Next thing to do for making Boost Test work is to input “-lboost_unit_test_framework” in “Other Linker Flags” setting from test target’s info Build tab. Now you can start creating your test suites and test cases. Create new C++ implementation file (without a header) and remember to add it to your’s unit test target. After fixing the test the build process should finish successfully. It will be better to make X-Code run tests automatically during compilation of our main project, so we will now tie our main project with the test suite. It can be done by right-clicking your main project target and choose Get Info. 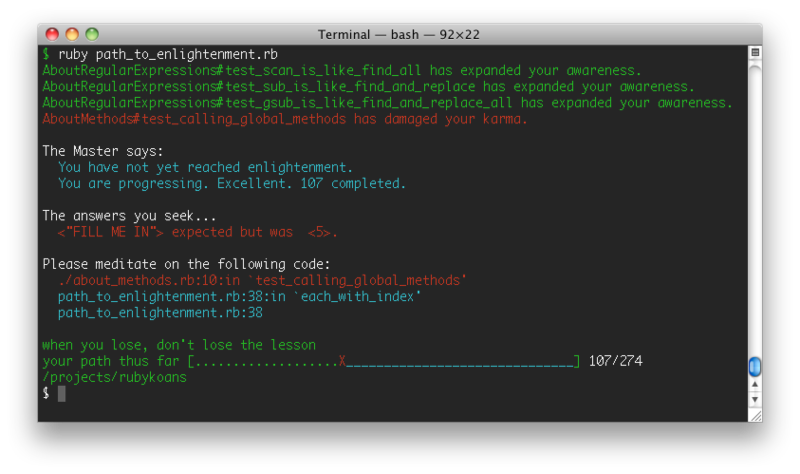 Being on the General tab you have to add Dependency of test target. Now whenever you will compile the project, unit test will be run. 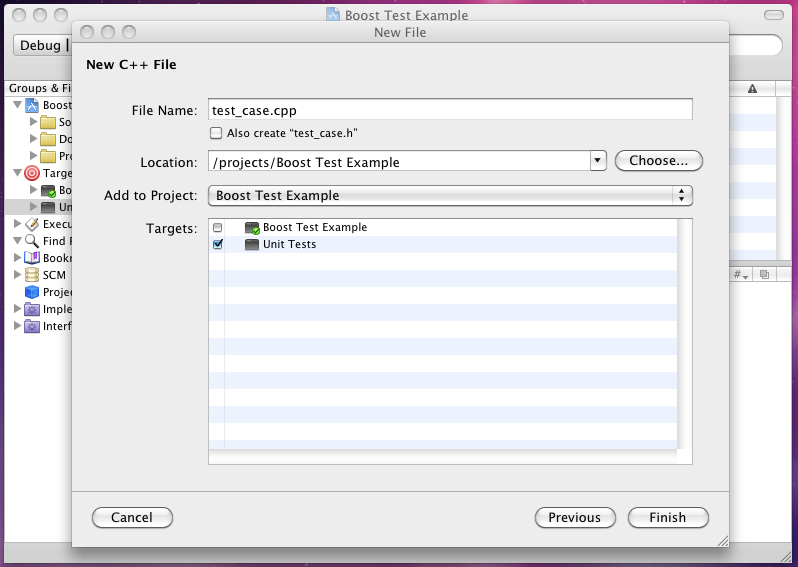 More about Boost Test framework itself can be found here.